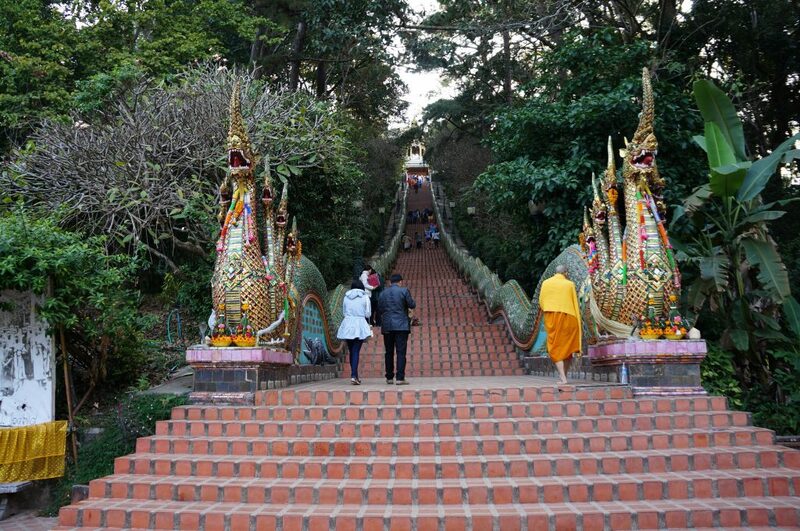 Chiang Mai, the second largest city in Northern Thailand, is truly rich in culture, nature and food. Attested by more than 300 Buddhist temples, numerous historical sites, 4 colourful festivals and uncountable markets, Chiang Mai cannot be missing on your Thailand itinerary. It’s also a playground for adventurers, thrill-seekers, and adrenaline junkies. Chiang Mai will take you soaring 70 metres above ground, rushing down raging rivers, and even jumping off cliffs. Are you up for it? Game face on, these 6 adventurous things to do in Chiang Mai are ready to take you on. Siam River Adventures placed Chiang Mai on the map for thrilling whitewater experiences. Its accredited safety standard, imported gear, and experienced staff are unrivalled in Northern Thailand. It’s 100% incident-free since it opened in 2000 so you know that you are in good hands. To get to their exclusive river camp, the company offers pick-up and drop-off from your location in Chiang Mai City and then, you’re just under 2 hours drive away from your Mae Taeng river escapade. Siam River Adventures caters to all skill levels from beginner to expert. They promise level 3 to 5 rapids. If you are up for the most raging whitewater, book your trip between August to October which is right in the middle of the rain season. If whitewater rafting is not for you, try a whitewater kayaking courses, a relatively new sport in Thailand. How about an afternoon filled with adventures? Mornings in Chiang Mai can be so refreshing and beautiful. Riding an elephant seems to be an exciting experience when you’re given the chance. However, we have to look beyond the novelty of it and consider how this badly affects elephants. So I’d rather recommend visiting Elephant Nature Park instead. It’s a sanctuary for abused elephants and other animals. Here, they are being cared for and restored to health. 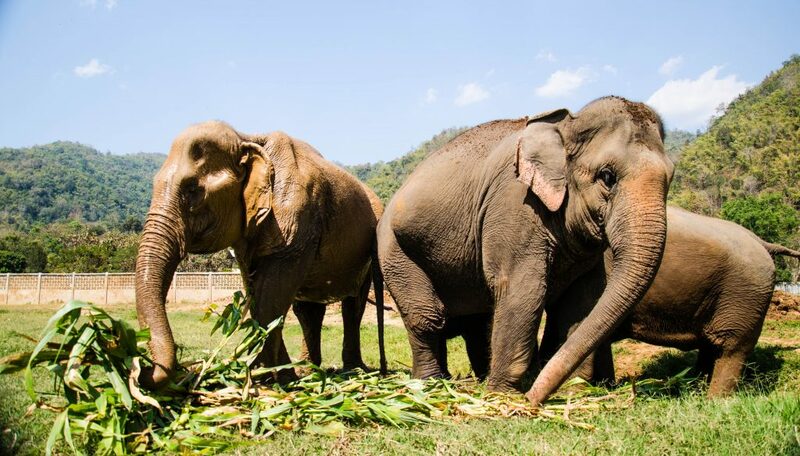 Travel with a cause to the Elephant Nature Park where you will get to meet the resident elephants and hear what they’ve been through in the past. Believe me, it’s not worth riding them for even a single minute! You will also be educated about their rehabilitation. The place also welcomes volunteers to help with tending to these gentle giants. You will fall in love in no time, that’s a promise. A day with elephants is an unforgettable experience. 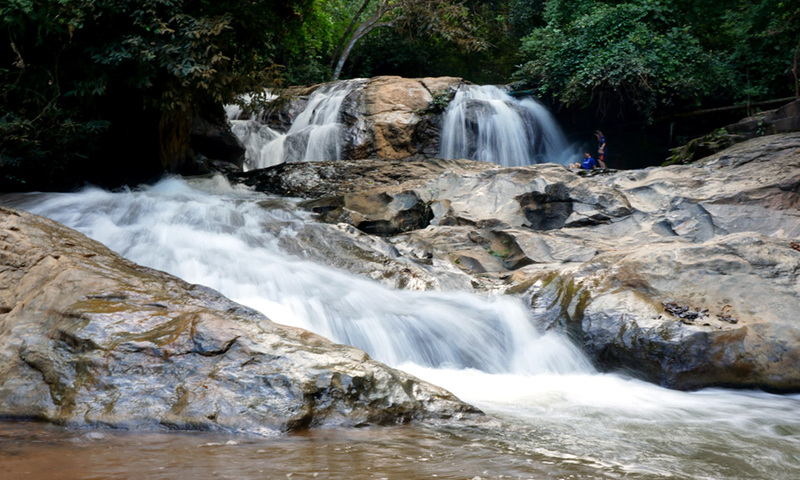 One of a kind, gorgeous, fun-filled, those are just a few things that make Bua Tong or Sticky Waterfalls in Sri Lanna National Forest a must-visit. Best of all, it’s free! Yes, finally, one of the cool free thing to do in Chiang Mai! To get there, the easiest way is to rent a motorbike. If you’re starting out from the Old City, it’s a 1.5-hour drive north to the falls. The unique thing of Bua Tong is that you can actually climb up the waterfalls ala Spider-Man (or well Woman). 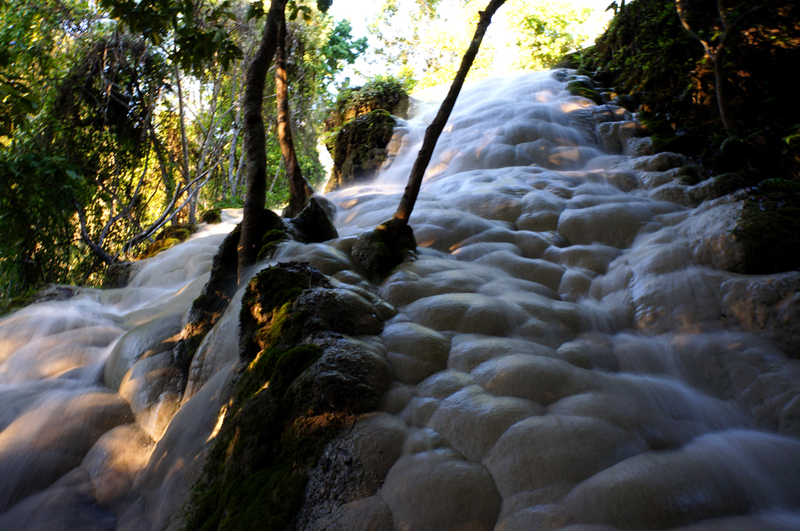 It got its nickname, Sticky Waterfalls, from the grippy surface of the rocks due to the calcium formation on the water. Avoid the dark algae patches for those are slippery, simply step and grab only the white surfaces. The waterfall has five tiers to enjoy starting from the bottom. Climbing the Sticky Waterfalls sure will give you a workout so come prepared. There are picnic areas on top where you can relax and rest afterwards. You can get to the waterfall by yourself, or you can hire a local guide. 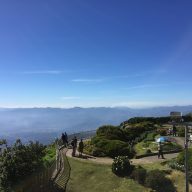 I especially recommend Take Me Tour, a company that organises custom trips with people, who work and live in Chiang Mai. 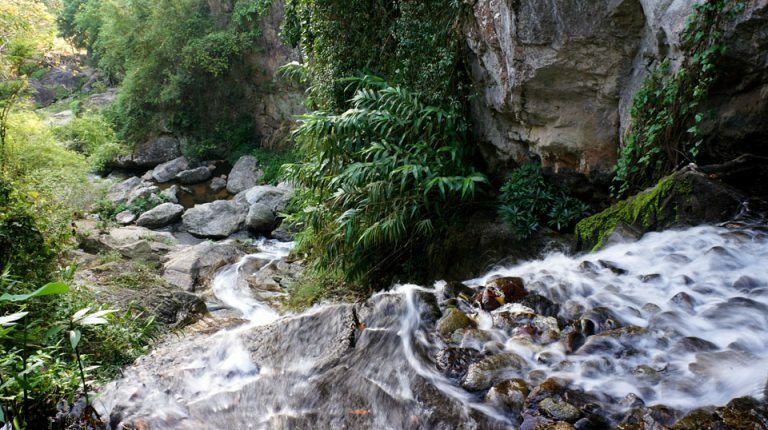 The walls of Bua Tong Sticky Waterfall allow for a fun and safe climb. You like to rise high and have some views to marvel at? I am sure do. You’ll be happy to know that Chiang Mai Rock Climbing Adventures offers a great day of rock climbing at Crazy Horse Buttress cave. Their package includes round-trip transportation from Chiang Mai to the cave, high-quality equipment and gear, lunch and water, insurance, plus if you go to their adventure story they normally offer you some sort of discount! Just bring your sports shoes and clothing. You don’t mind getting down and dirty, do you? Or should I say ‘up’ and dirty? Another cool way to explore Chiang Mai is with a bicycle. It’s faster than walking and slow enough to not miss the best things and small streets of the Old Town. Simple as that! A bike tour is perfect whether you wanna go solo, with your travel buddy or in a group. For your cycling adventure, check out Click and Travel, the pioneer for the bike trips in Chiang Mai. Choose a half a day, full day or multi-day tour which is not only great for exercise, but you’ve guessed it, it’s also eco-friendly! Half-day guided bike tour start at 990 baht. If you are a big fan of exploring by yourself without the pressure of a group, the self-guided bicycling tour around the city is probably your best choice! 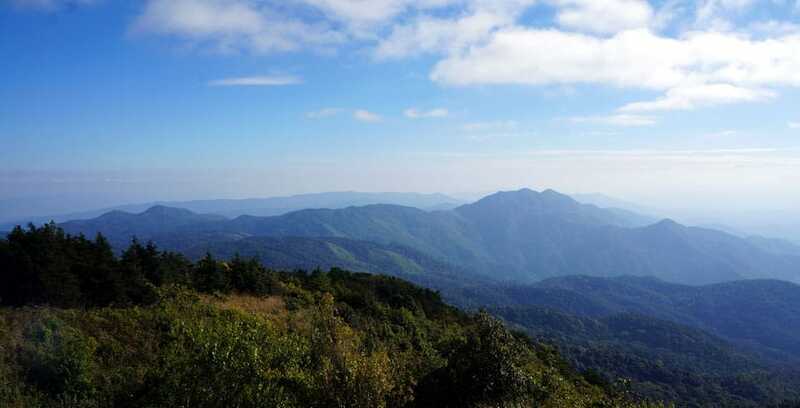 Northern Thailand has long been known as a favourite for avid trekkers from all over the globe. 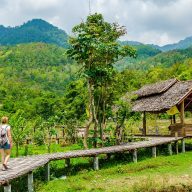 Of all the provinces in Northern Thailand, Chiang Mai certainly takes the cake for being the trekker’s paradise. 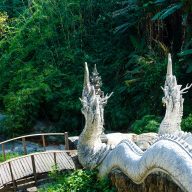 The lush jungle, waterfalls and rivers, valleys and mountains are among the reasons why many energetic travellers frequent Chiang Mai. But perhaps, the biggest reason of all is the interesting hill tribe villages dotting the vicinity. Choosing a reputable trekking company is essential for you to get a wonderful experience. Try finding an eco-trekking company that provides an authentic experience so you get to know the real hill tribes and not the staged ones. Look for those who exclude elephant riding but instead focus on appreciating nature’s beauty and the colourful minority groups in the mountains. Once you are on the trek, you’ll get to meet and greet the Karen people and you will have tons of fun wading through rivers and bathing in them, learning jungle cooking and other jungle survival skills! Ok, those 6 adventurous things to do in Chiang Mai seem pretty tame compared to this one! See those fun movie shots of leaping off a cliff to dive in aquamarine waters? You can definitely do that because cliff diving is a staple here as a crazy thing to do in Chiang Mai. To get to the Chiang Mai Canyon, you may rent a motorbike and arrive 40 minutes later when driving from the Old City. The Hang Dong Rock Quarry used to be for extracting limestone. Now, the canyon is filled with emerald water deep enough for a cliff dive from 10 metres height. The first jump might be intimidating but as soon as you get over the fear of the first jump, you’ll be wanting to dive in again and again. Cliff dive exhilaration is only at 50 baht. There is also a waterpark for 300 baht which makes for a nice day trip outside of Chiang Mai. And that’s a wrap! 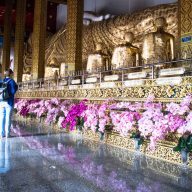 Those are some of the crazy, awesome, adventurous things to do in Chiang Mai. 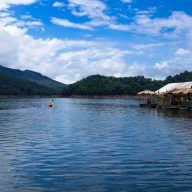 I know you will enjoy your trip battling raging rivers and climbing waterfalls, whoozing through the air over lush forests, trekking through Chiang Mai’s mountains and diving off cliffs! 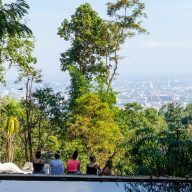 Chiang Mai is just a plane trip away. Getting there is the easy part, leaving it is another story. Good luck wanderers! 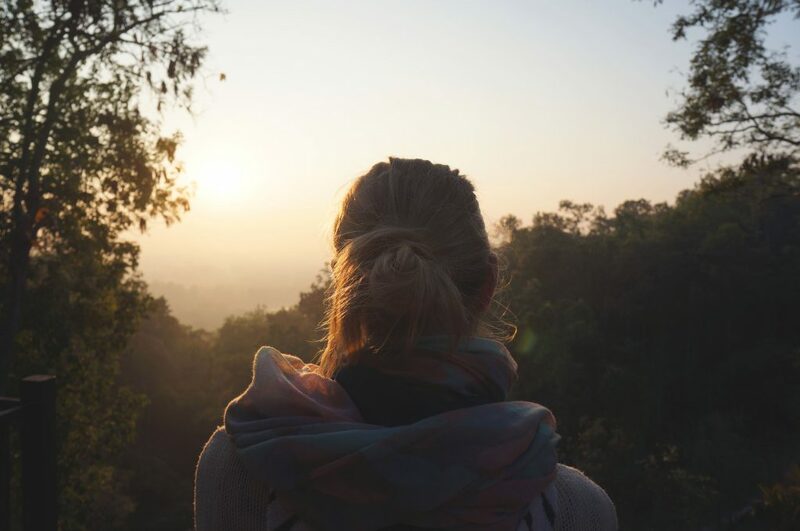 Originally from Germany, Carolin is today travelling the world for a living. Since becoming a digital nomad two years ago, she has called many places home: Chiang Mai, Sydney, Bali, Barcelona and Brisbane. Carolin works entirely location independent as a social media specialist and content creator while doing the odd web design project and running her travel blog breathingtravel.com. Ask her anything about house sitting, Instagram (!!! ), being a digital nomad and Australia, her favourite country in the world. Follow along on Instagram for daily wanderlust inspiration @breathingtravel.